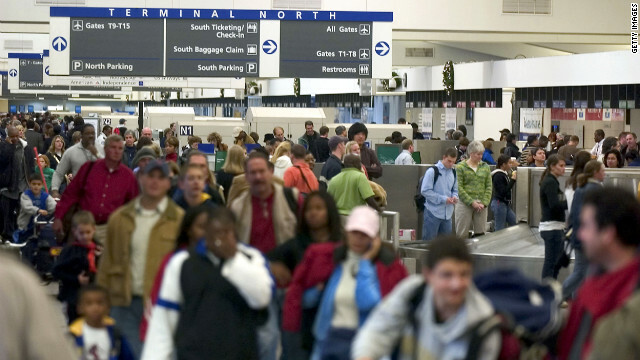 As business travelers walk briskly, custodians clean, and administrative workers hold their heads down and move forward to deliver their messages – the common area connecting large airport concourses can quickly become a mess. Huge amounts of traffic move in different directions, creating congestion in the space. 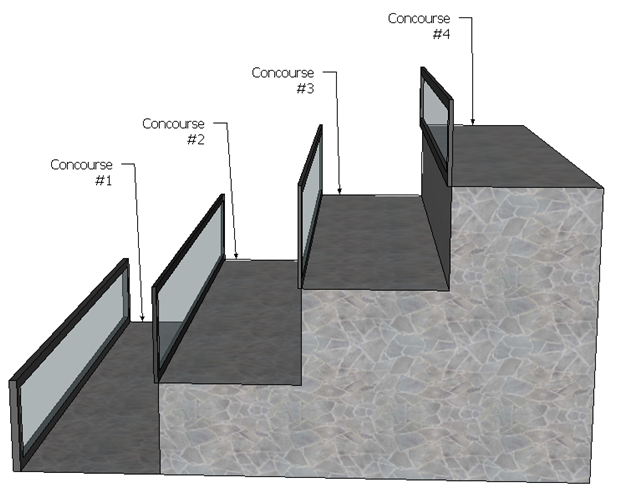 To improve traffic flow, an architect could re-design the common area in an airport to eliminate all commonality by including multiple levels, so that each separate concourse had its own truly dedicated path. As you can imagine, this set of bridges would create multiple replications of identical walkways, each with their own infrastructure. This would be a very expensive way to manage pedestrian traffic. 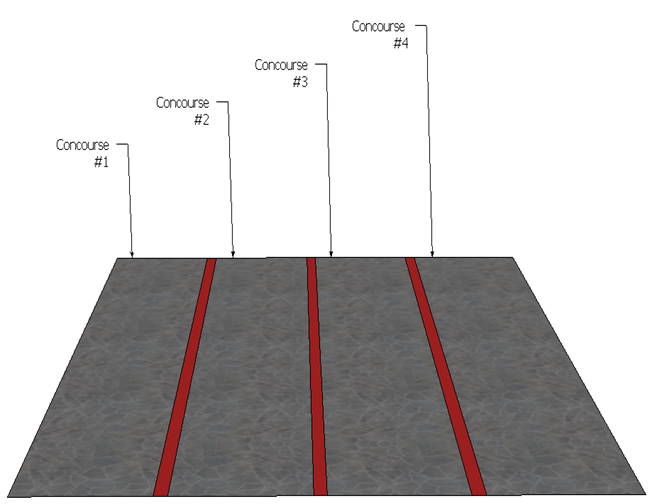 Rather than creating elevated paths for each concourse, the architect could simply paint lines on the floor and tell each pedestrian to walk only in his/her specific lane until he/she reaches the associated concourse. 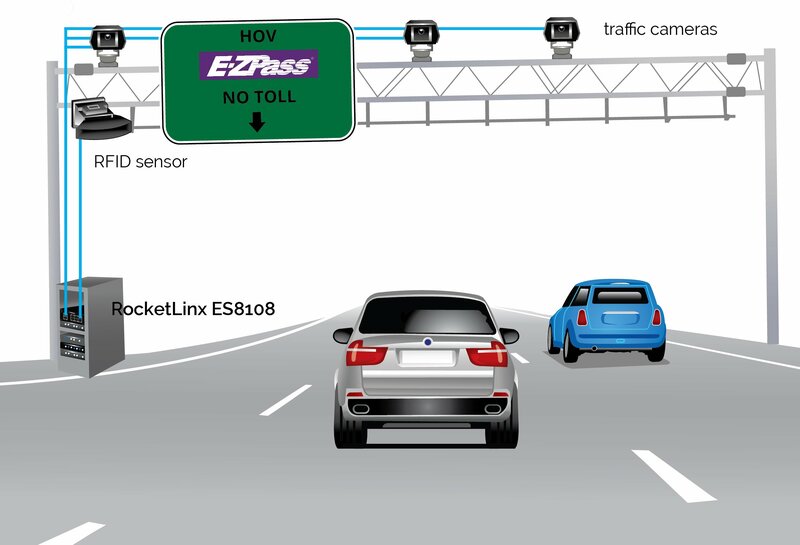 This system would attain the same goal – segregating traffic and eliminating interruptions caused by inter-concourse travelers while drastically reducing infrastructure costs to build. Without a question, the above example is an oversimplification. It is tough to imagine that a pedestrian traffic problem could be solved by red lines on the ground and a simple word of advice from the architect. 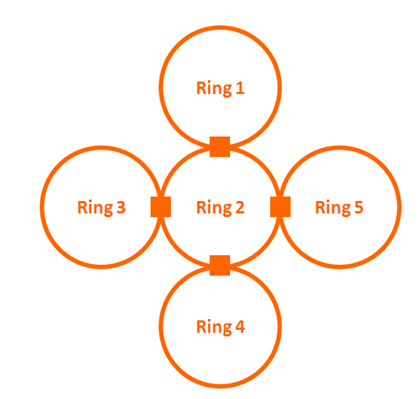 Have you ever considered using a ring topology for your IP surveillance network? Here at Comtrol, we rarely hear of customers who utilize networks that are configured in a ring. A star topology is almost always the way networks are configured by most of our customers across industrial automation, security, energy and other major markets we specialize in. Likely one of the biggest reasons why people avoid a ring topology is that there is rarely interoperability between different brands of switches within that ring. There is also the fear of broadcast storm. If one switch goes down in a ring, you will have to buy that brand of switch again for use in that ring unless you remove all current switches and install another brand completely.